Mithatpaşa Avenue is one of the important streets and business centers of Ankara, Turkey. It is named after Mithat Pasha who is known as one of the proponents of Ottoman Empire constitution in the second half of the 19th century. Mithatpaşa Avenue runs about 1,050 metres (3,440 ft) in southwest to northwest direction. 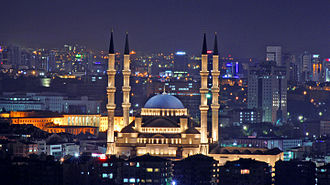 Kocatepe Mosque is at the south east end and Sıhhiye Square is at the northwest end. The street is a gentle ramp where the southeast end is about 40 metres (130 ft) higher than the other end. Two other busy streets intersect with Mithatpaşa Avenue; Ziyagökalp Boulevard and Meşrutiyet Avenue. During the early years of the Republic, Ankara was a small city. Modern Ankara was developed after the city was proclaimed the capital. As a result of series of plans (like that of Lörcher in 1925s and that of Hermann Jansen in 1930s) new Ankara was developed. Mithatpaşa Avenue is a part of this development. Mithatpaşa Avenue is a one way arterial road. The traffic flows to Sıhhiye Square. Public buses to the west of the city center follow the route from Meşrutiyet Avenue to Mithatpaşa Avenue and eventually they pass to the west side by an overpass in Sıhhiye Square. Wikimedia Commons has media related to Mithatpaşa Avenue. The Museum of Anatolian Civilizations is located on the south side of Ankara Castle in the Atpazarı area in Ankara, Turkey. 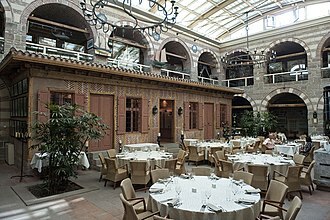 It consists of the old Ottoman Mahmut Paşa bazaar storage building, after the remodelling and repairs were completed, the building was opened to the public as the Ankara Archaeological Museum. Today, Kurşunlu Han, used as a building, houses the work rooms, conference hall, laboratory. The old bazaar building houses the exhibits, within this Ottoman building, the museum has a number of exhibits of Anatolian archeology. The exhibits of gold, glass and bronze works date back as far as the half of the first millennium BC. The coin collections, with examples ranging from the first minted money to modern times, the first museum in Ankara was established by Mübarek Galip Bey, Directorate of Culture, in 1921, in the section of the Castle of Ankara called Akkale. 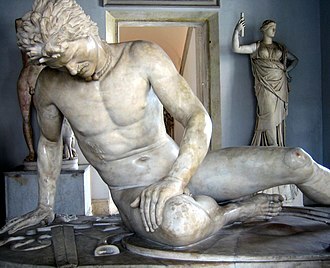 In addition to museum, artifacts from the Augustus Temple. Upon recommendation of Atatürk and from the view of establishing an Eti Museum in the center, the Director of Culture at that time, Hamit Zübeyir Koşay and Saffet Arıkan, Minister of Education recommended that the Mahmut Paşa Bazaar and the Inn be repaired and converted into a museum. This recommendation was accepted and restoration continued from 1938 to 1968, upon the completion of repairs of the bazaar, where the domed structure is, in 1940, a committee chaired by German Archaeologist H. G. Guterbock arranged the museum. In 1943, while the repairs of the building were still in progress, repair projects of this part were carried out by Architect Macit Kural and repair work upon tender was performed by Architect Zühtü Bey. In 1948 the museum administration left Akkale as a house. Restoration and exhibition projects of the part around the structure were prepared and applied by Architect İhsan Kıygı. Five shops were left in their form, and the walls between the shops were destroyed and thus a large location was provided for exhibition. 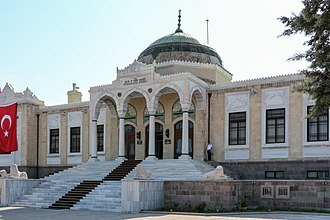 The museum building reached its present structure in 1968, the Anatolian Civilizations Museum is in two Ottoman buildings located near Ankara Castle, in the historical Atpazarı district of Ankara. One of the buildings is Mahmut Paşa Bedesteni and the other is Kurşunlu Han, the Mahmut Paşa Bedesteni was built by Mahmut Pasha, one of the ministers of Mehmed II the Conqueror during 1464-1471. 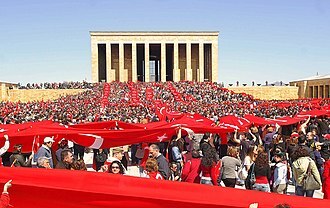 The following is a timeline of the history of the city of Ankara, Ankara Province, Turkey. 546 BCE – Achaemenid Persians in power,334 BCE – City taken by forces of Alexander III of Macedon. 278 BCE – Celtic Galatians in power,25 BCE – City taken by forces of Augustus and becomes part of the Roman Empire. 20 BCE – Monumentum Ancyranum built, 3rd century CE – City besieged by Gothic forces. 272 CE – City becomes part of Roman Empire again,362 – Julian of Roman Empire visits city, Column of Julian erected. 7th century – City becomes capital of the Opsician Theme, 8th century – City becomes capital of the Bucellarian Theme. 1073 – City becomes part of the Seljuq Empire,1101 – Ankara Castle captured by the Crusaders. 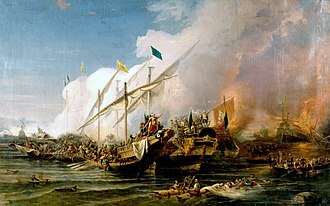 1227 – Ankara Castle captured by the Seljuqs,1356 – City taken by forces of Ottoman Orhan I.1402 –20 July, Battle of Ankara fought at Çubuk, Turkic Timur takes city. 1403 – Ottomans in power again,1471 – Mahmut Paşa Bedesteni built. 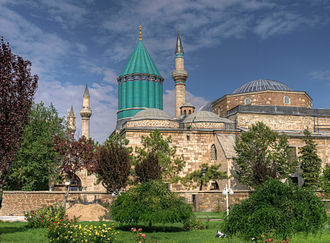 1566 – Cenabi Ahmed Pasa Mosque built,1864 – City becomes capital of the Ankara Vilayet. A view of the arcades which surround the ceremonial courtyard. A frontal view of Anıtkabir. A historical view of Kurşunlu Han, now the main museum building. Bronze figurine of a naked woman breast-feeding a baby, from a grave in Horoztepe. State Art and Sculpture Museum in Ankara, built between 1927 and 1930. Exterior view of the museum's main entrance. The historic Ziraat Bank Building (1929). The historic Ankara Palas Hotel (1927). A view of the Presidential Residence in 1923 before any renovation.